Pancakes on a foggy Sunday morning with beach house hash and French pressed coffee, shared with my husband and one of my oldest, closest friends is the best way I can think of to spend a morning. It’s no surprise that I am a breakfast junkie. I’ve spoke many times about it being my favorite meal and on Sundays I treat breakfast like it’s a national holiday. We either celebrate by exploring a new restaurant or we stay in and cook, brew coffee, swirl chai tea and let the sun (or fog in today’s case) mesmerize us through the windows. I’ve had an on again off again relationship with pancakes. As a child my mom used to wake us girls up on holidays with plates of heart-shaped pancakes or bright green pancakes or sometimes just because. I would slather mine with butter and just enough syrup to wet the spongy delicious cake. Then all of a sudden I stopped eating pancakes. I’m not sure how it happened but maybe it was that sneaky French toast with all of its sugar and cinnamon that stole my heart. My dear old pancake became an ancient memory until Naked Cafe entered my life with their light and fluffy blueberry pancake. Little did I know that pancake would become a gateway drug that led me to the Coffee Cup – an adorable, cozy little restaurant in La Jolla. 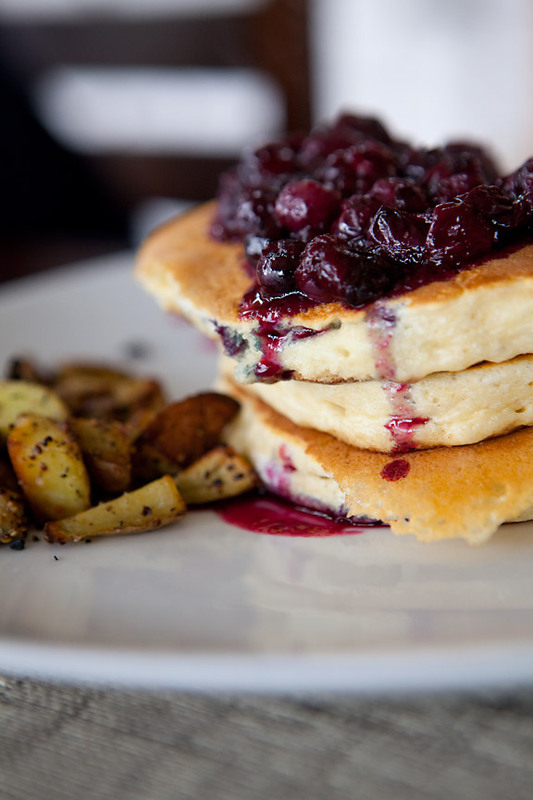 While we waited for a table a plate of pancakes piled high with steaming hot, syrupy blueberries was rushed past us and my heart instantly filled with love and my mouth watered so much that I felt a little embarrassed. I barely looked at the menu that day. My mind was set. And it was the best decision I made all week! Since I don’t plan on driving 25 minutes to La Jolla on a regular basis to fulfill my pancake desires I decided to come up with my own version of blueberry pancakes. The batter is simple, a little flour, milk, eggs, lemon zest, sugar and butter. The key is to separate the eggs, mix the yolks into the batter, whip the whites into fluffy pillows and then fold them gently into the batter. This will make the pancakes light as air. 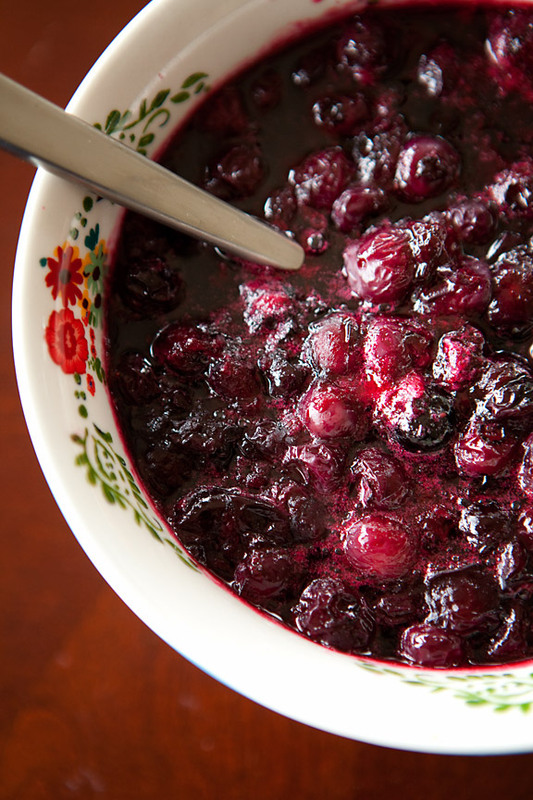 The blueberry topping is simply blueberries, sugar, lemon juice and lemon zest simmered together to make a mouth-watering sweet syrup. Add all of the ingredients to saucepan and cook on medium heat until the sugar has dissolved and you have a nice sauce about 7 minutes or so. Mix the dry ingredients together in a bowl. Add the milk, egg yolks and butter. Mix until ingredients are combined and still a little lumpy. Heat a skillet over medium heat. 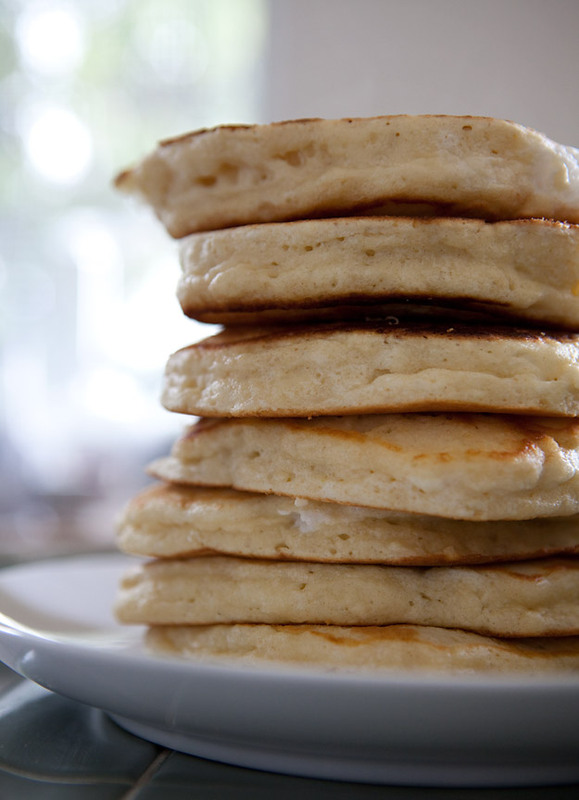 Spray with non-stick spray or melt butter to prevent the pancakes from sticking. Use a 1/3 cup to scoop the batter into your pan. Cook until lots of bubbles form on the pancake. Flip and cook for about one minute. 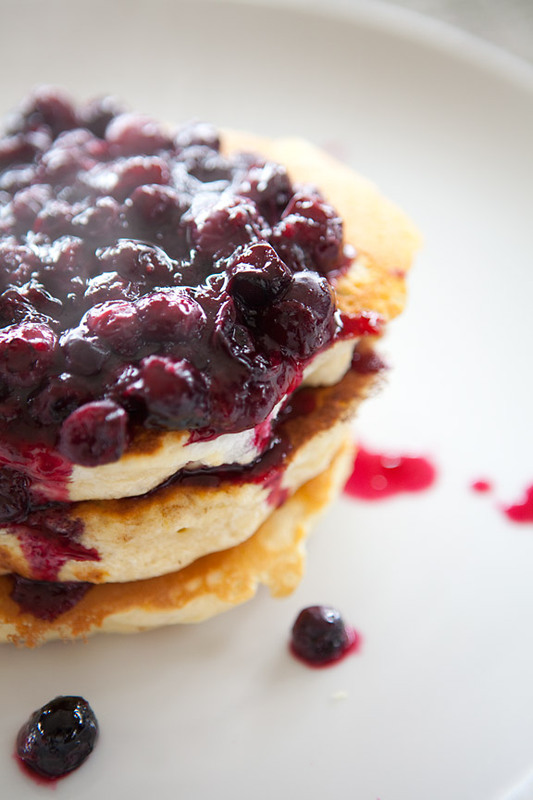 Pile them on a plate and spoon the blueberry sauce over the top. Isn’t breakfast the best?! What is your favorite? I’m a big fan of starting off with savory eggs…think spanish style omelette…and then moving right into some blueberry pancakes or waffles. No better way to start the weekend! I’m the same way! Please share your spanish style omelet recipe 🙂 sounds delicious! These look yummy! Wish it was Sunday morning! Those pancakes are making me hungry! I’ll have to try them! Very similar to my favorite pancake recipe – except a major difference to yours: separating the yolks from whites. I’ll definitely be trying yours. They sound terrific! I think there is a huge difference with separating the eggs. The pancakes were the fluffiest I have ever eaten and they felt “light” and not like a “heavy” pancake. Also, that blueberry compote was phenomenal! Thanks for the amazing p.cake bfast! I’m so glad you liked them and it was a pleasure cooking them for you! Can’t wait to do it again! yum. must try these! i usually just throw blueberries in the batter but I’d like to try this topping. You are so sweet! Please let me know how they turn out!